Alexander Shlyapnikov was born in Murom, Russia, in 1885. His father died in 1888 and his mother was forced to support the family by taking in washing. He later wrote: "My father was drowned when I was two, leaving my mother with four small children, the youngest of whom was only a few months old. It was a hard life to be a widow without income or means of support. All the members of the family learnt to do some kind of work from their earliest years so as to be useful and help mother in her struggle to scrape a living. Shlyapnikov entered primary school in 1893: "I left three years later, having learnt to read and write. School was no mother to me, and it was not the teachers who educated me. The teachers often meted out justice to their young charges with their fists. Even during these years, life taught me there is no justice in this world." After leaving school he found work as a labourer. At the age of thirteen he became a factory apprentice in Murom. Shlyapnikov moved to St. Petersburg where he became a mechanic. He joined the Bolsheviks and in 1905 organized a protest meeting about Bloody Sunday. This resulted in him being arrested and he was sent to Vladimir Central Hard Labour Prison. Released in October, Shlyapnikov took part in the 1905 Revolution. He was once again arrested and sentenced to two years' imprisonment. On his release in 1908 Shlyapnikov left Russia and over the next six years worked in factories in Germany, France, England and Sweden. While in exile Shlyapnikov met Vladimir Lenin and Alexandra Kollantai as well as a large number of European socialists. Shlyapnikov returned to Russia in 1916 and soon became the leader of the union of metal-workers in Petrograd. In 1917 he helped organize the Petrograd Soviet of Workers' Deputies and was a member of its executive committee. Working closely with Vyacheslav Molotov, Shlyapnikov helped organize the strikes that undermined the Russian government. However, he did not support the immediate violent overthrow of the Provisional Government during the summer of 1917. In July, 1917, Shlyapnikov became President of the All-Russian Metalworkers Union and soon afterwards became a member of the Bolshevik Central Committee. After the October Revolution he was appointed Commissar of Labour. Already concerned by the dictatorial powers being assumed by Vladimir Lenin, Shlyapnikov argued for the formation of a government that included Mensheviks and Socialist Revolutionaries. Shlyapnikov became increasingly critical of the way the Communist Party controlled the trade union movement. At the 1920 Communist Party Congress Shlyapnikov argued that trade unionists should play a more active role in running factories and warned against the dangers of a state controlled economy. Shlyapnikov and Alexandra Kollantai (Commissar for Welfare) were now seen as leaders of what Vladimir Lenin now called the Workers' Opposition. In 1921 Alexandra Kollantai published a pamphlet The Workers' Opposition, where she called for members of the party to be allowed to discuss policy issues and for more political freedom for trade unionists. She also advocated that before the government attempts to "rid Soviet institutions of the bureaucracy that lurks within them, the Party must first rid itself of its own bureaucracy." The group also published a statement: "A complete change is necessary in the policies of the government. First of all, the workers and peasants need freedom. They don't want to live by the decrees of the Bolsheviks; they want to control their own destinies. Comrades, preserve revolutionary order! Determinedly and in an organized manner demand: liberation of all arrested Socialists and non-partisan working-men; abolition of martial law; freedom of speech, press and assembly for all who labour." At the Tenth Party Congress in 1922, Vladimir Lenin proposed a resolution that would ban all factions within the party. He argued that factions within the party were "harmful" and encouraged rebellions such as the Kronstadt Rising. The Party Congress agreed with Lenin and the Workers' Opposition was dissolved. Lenin also demanded that Shlyapnikov be expelled from the Central Committee. It refused and Shylapnikov returned to the attack describing the government's New Economic Policy as being "anti-working class". Victor Serge explained: "The Workers Opposition, led by Shliapnikov, Alexandra Kollontai, and Medvedev, believed that the revolution was doomed if the Party failed to introduce radical changes in the organization of work, restore freedom and authority to the trade unions, and make an immediate turn towards establishing a true Soviet democracy. I had long discussions on this question with Shliapnikov. A former metalworker, he kept about him, even when in power, the mentality, the prejudices, and even the old clothes he had possessed as a worker." When Joseph Stalin gained power he dealt with Shlyapnikov and Alexandra Kollantai by sending them abroad as diplomats. In 1930 Stalin forced Shlyapnikov to publish a public confession of his "political errors". Described as a "political degenerate" Shlyapnikov was expelled from the Communist Party in 1933 and two years later he was imprisoned. After a secret trial Alexander Shlyapnikov was executed on 2nd September, 1937. 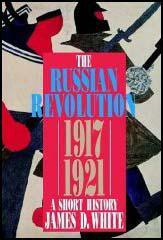 (1) The Granat Encyclopaedia of the Russian Revolution was published by the Soviet government in 1924. 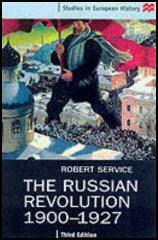 The encyclopaedia included a collection of autobiographies and biographies of over two hundred people involved in the Russian Revolution. Alexander Shlyapnikov was one of those invited to write her autobiography. My father was drowned when I was two, leaving my mother with four small children, the youngest of whom was only a few months old. It was a hard life to be a widow without income or means of support. All the members of the family learnt to do some kind of work from their earliest years so as to be useful and help mother in her struggle to scrape a living. At the age of eight I entered primary school. I left three years later, having learnt to read and write. School was no mother to me, and it was not the teachers who educated me. The teachers often meted out justice to their young charges with their fists. Even during these years, life taught me there is no justice in this world. (2) Alexander Shlyapnikov was only sixteen years old when he took part in a strike at the Semyannikov plant in 1901. I was very active for my age in the strike, inciting apprentices from all the workshops, shipbuilding as well as joinery, to drive out workers who did not want to join us. We stuffed our pockets with screws and all sorts of scraps of iron, and made for the docks and workshops. Those who went against the general strike decision was pelted with iron fragments, nuts and bolts, and were forced into line. Policemen on foot and horseback threatened us with their whips, but this only strengthened our youthful readiness to fight. For such active participation in the strike, I was dismissed from Semyannikov's and blacklisted. All my attempts to find work at another factory ended in failure. With the help of some workers, I was given a job at the Obukhov works, but was dismissed as a striker after a couple of weeks. Other attempts had the same result. The impossibility of finding a job in a large factory turned me to work in small workshops. The pay was so paltry that it did not even cover the rent. 1. The three-year experience of the Russian Revolution shows that the single force consciously fighting for the organization of society on communist foundations is the Proletariat. 2. The rural commodity producer, likewise the poor peasants and middle peasants, and also the urban artisan have supported the proletariat in its struggle against the landowner and the large capitalist, but since according to their position they are property owners their support has been found, and is found now in a state of constant fluctuation. Only the direct threat of a relapse to the past has restrained and is restraining these masses from direct betrayal of the cause of the Proletarian Revolution. 3. As a privileged estate in Russia in relation to the repressed worker and peasant masses, the intelligentsia, throughout imbued with the ideas and system of the ruling exploiter class, has met the emancipatory struggle of the Proletariat in an openly hostile manner, has refused any cooperation with it and in a significant part went over to the side of the counterrevolution. Only thanks to long and tenacious struggle has the Proletariat succeeded in attracting part of it to participation in construction. 4. In the process of armed struggle and creative construction the Working class has been defined as the only class, capable of managing industry and the state, and likewise to defend its homeland in an organized manner from class enemies. 1. The role and tasks of trade unions in the transitional period have been precisely and clearly defined by recommendations of the All-Russian congresses of trade unions. The first All-Russian congress of trade unions in January 1918 defined the tasks of trade unions thus: the center of gravity of unions work at the present time must be in the area of economic organization. Trade unions must assume the main work of the organization of production and reformation of the undermined productive forces of the country. The third congress, April 1920: confirmed the basic decisions of the earlier two. The eighth congress of the Russian Communist Party in March 1919 decided: the apparatus of socialized industry must rest upon the trade unions first of all. 2. the transition from military tasks to economic construction and from militarized methods of work to democratic methods, revealed a crisis in professional workers organizations, expressing itself in the inconsistency of the content of their everyday work with those tasks, which were defined in the congress resolutions and reinforced in the party program. The practices of party congresses and state organs for the past two years have systematically narrowed the scope of the work of trade unions and brought almost to zero the influence of workers unions in the Soviet government. The role of trade unions in the organization and administration of production in fact has been reduced to the role of an office of inquiry and recommendation, placing staff in administrative posts, between state organs and unions there is no agreement and conflicts overload party organizations. The unions still have neither a printing press nor paper. Journals of even the largest unions come out with a delay of several months. The state printing press gives lowest priority to work on behalf of unions. 3. This decline of the role and significance of the trade unions occurs at a time, when the experience of three years of the Russian revolution shows, that the unions wholly and faithfully carried out a communist line, led behind them wide circles of nonparty working masses; when to all and each it is clear that the realization of the RKP program in our country, where the majority of the population is petty commodity producers, demands a strong authoritative mass worker organization, accessible to the broad masses of the peasantry. The belittling of the significance and actual role of the trade unions in Soviet Russia signifies the manifestation of bourgeois, class hostility toward the proletariat and must be quickly overcome. (5) Trade Unionists supporting the Workers' Opposition published a proclamation on 27th February, 1921. A complete change is necessary in the policies of the government. First of all, the workers and peasants need freedom. They don't want to live by the decrees of the Bolsheviks; they want to control their own destinies. Comrades, preserve revolutionary order! Determinedly and in an organized manner demand: liberation of all arrested Socialists and non-partisan working-men; abolition of martial law; freedom of speech, press and assembly for all who labour. The workers ask - who are we? Are we really the prop of the class dictatorship, or are we just an obedient flock that serves as a support for those who, having severed all ties with the masses, carry out their own policy and build up industry without any regard to our opinions and creative abilities under the reliable cover of the party label. The Workers Opposition, led by Shliapnikov, Alexandra Kollontai, and Medvedev, believed that the revolution was doomed if the Party failed to introduce radical changes in the organization of work, restore freedom and authority to the trade unions, and make an immediate turn towards establishing a true Soviet democracy. I had long discussions on this question with Shliapnikov. A former metalworker, he kept about him, even when in power, the mentality, the prejudices, and even the old clothes he had possessed as a worker. He distrusted the officials ("that multitude of scavengers") and was sceptical about the Comintern, seeing too many parasites in it who were only hungry for money.